Jake Mandell is one in the growing breed of U.S. bedroom producers who have made it big on European labels. He came to fame while living in Minnesota studying for his biochemistry degree. In his spare time, Mandell composed experimental drum and bass, which, after being repeatedly turned down by the mainstream labels, he released on his own Primedeep imprint. 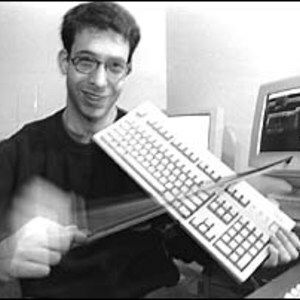 Mandell got his first big break after sending a demo tape to London's Worm Interface. The label, an offshoot of Ambient Soho record store, loved Mandell's intricate, clever techno, and duly released his debut album, Parallel Processes. Several EPs for labels such as Pitchcadet, Lucky Kitchen, and Beta Bodega and the full-length Quondam Current for Force Inc followed before Carpark took over in '99. Their first release, The Placekick EP, was followed in '00 by Long Songs For Machines, one of Mandell's most accomplished releases to date. Mandell now ranks alongside Marumari, Boards of Canada, and Autechre as a leading light in thought-provoking electronic music.